At Wycombe Heights we know how important your wedding day is, which is why our friendly team of wedding specialists are committed to helping you create one of the most memorable days of your life. Our spectacular countryside backdrops create an idyllic setting for weddings. The venue is also licensed to hold civil ceremonies, including civil partnerships and renewals of vows. Conveniently located minutes from High Wycombe our beautiful Function Suite can accommodate up to 100 people for a sit down meal and 120 for a buffet. Here at Wycombe Heights, we have various wedding reception packages to choose from. Alternatively, we can create a bespoke event, just for you. Our dedicated wedding co-ordinator will be on hand every step of the way to help you add all those extra little touches that will make your day truly special. Make your day unique. We’ll tailor your day to fit your needs and your dedicated wedding expert will see everything works perfectly for you throughout the day. 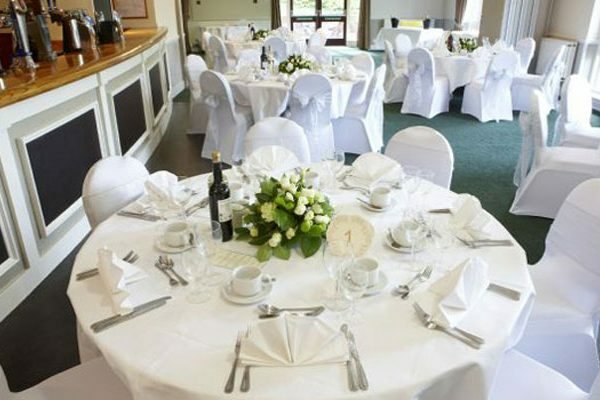 A beautiful picturesque setting, combined with lovingly prepared food, make Wycombe Heights one of the most popular function venues in Buckinghamshire. Our Function Suite is a flexible space that is perfect for a sit down meal of up to 100 people or a buffet for 120. For weddings with a smaller guest list, or if you are looking for a smaller more intimate room, we can provide exclusive access using our room partition. Please call us on 01494 816686 or fill out your details below and one of our team will get in touch.